The eagerly-awaited LG Optimus One smartphone has arrived, bringing Android 2.2 and a handset that is pivotal to the company's mobile hopes. 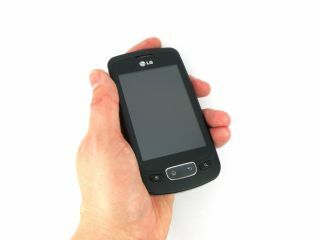 Hot on the heels of the Windows Phone 7 toting Optimus 7, LG's Optimus One was named in the company's recent financial results as a handset that would help its mobile division bounce back after a recent dip. The LG Optimus One sports a 600MHz processor and a 3.2 inch HVGA touchscreen, as well as a 1500mAH battery. "LG Electronics today launches the LG Optimus One, the affordable new smartphone from the company's Optimus series of smart devices," said LG's release. "The handset is easy-to-use and accessible to all consumers – not just business users – while delivering the ultimate smartphone experience. "It is the smart choice for anyone looking for a handset that helps make their hectic lifestyle a little bit easier and for finding out just about anything in an instance." The Optimus One is billed as the first in the new LG Optimus flagship series of smart devices, and will be competing with some impressive offerings from the likes of HTC and Samsung. "In a year when the mobile category has continued to innovate and produce new and ground-breaking technology, we're excited to bring the LG Optimus One to market," said Alex Windle, Head of Marketing at LG's Mobile Division. "Running on the impressive new Android 2.2 platform with a host of intelligent features, we are confident this new handset will really make LG stand out in the smartphone space by offering consumers the latest technology at an affordable price. "LG has proven successful in bringing affordable technology to the masses, as we did with Cookie, and we want to do the same with our Optimus smartphones."